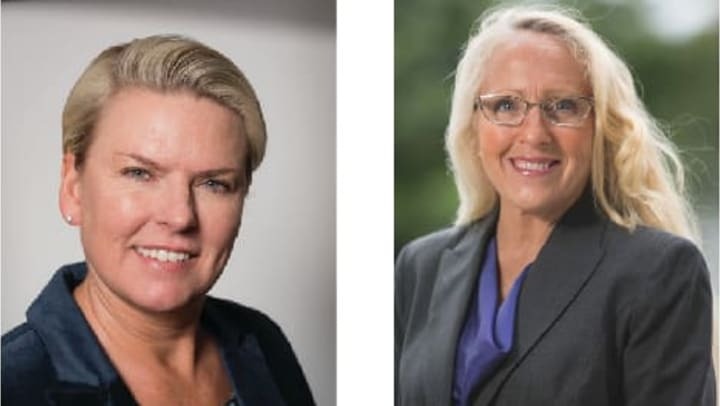 OLYMPIA, Wash. — Olympia-based owner-operator Koelsch Communities has promoted Cyndie Bryant from senior vice president to executive vice president, and Eva Arant from regional director of operations to Bryant’s former position. Bryant, a registered nurse, has been with Koelsch Communities for 20 years. In her new position, she develops policies, procedures and auditing tools that unify and raise the standards of Koelsch properties. She also oversees professional education. Arant joined Koelsch in 2008. In her new position she oversees more than 30 senior living communities, and is responsible for developing and executing the strategic initiatives in company infrastructure that sustain future growth. She provides day-to-day leadership to the regional directors of operations. Prior to joining Koelsch, Arant managed a variety of seniors housing communities.